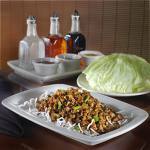 Free Lettuce Wraps at PF Chang's! I LOVE the lettuce wraps at PF Chang’s China Bistro so I was excited to find this offer! Enter your email address here and you will receive a coupon good for one FREE order of lettuce wraps with the purchase of any entree. I just signed up and received my email right away. This offer expires June 14th. Previous post: Great News for All You Subscribers!